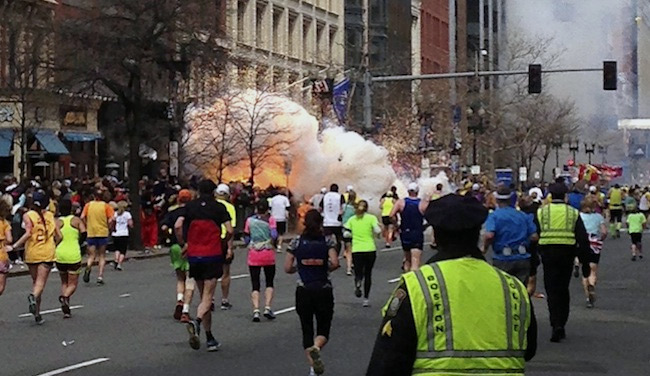 Paul Craig Roberts has reported on the Boston Marathon alleged bombing case. He interviewed the pro bono attorney, John Remington Graham, who intervened in behalf of the Russian aunt, a lawyer in the Russian Federation, in behalf of the falsely convicted younger Tsarnaev brother, Dzhokhar, the older brother having been murdered by the FBI. Graham conclusively proved that the FBI’s own evidence proved beyond any doubt that Dzhokhar Tsarnaev was innocent, which means so was the older brother. 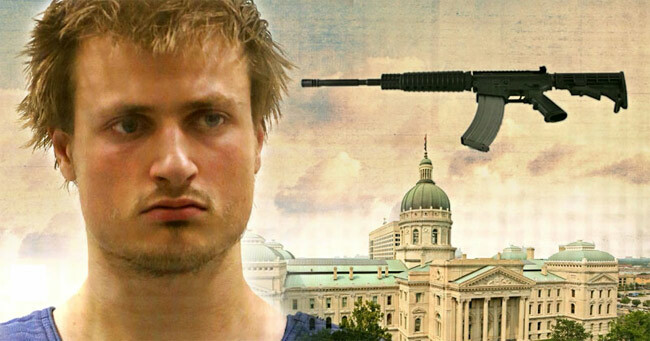 The orchestrated threat was also used for a practice exercise in closing down one of America’s largest cities in order to manhunt with intent to kill a young man chosen as the villain for the orchestrated event. 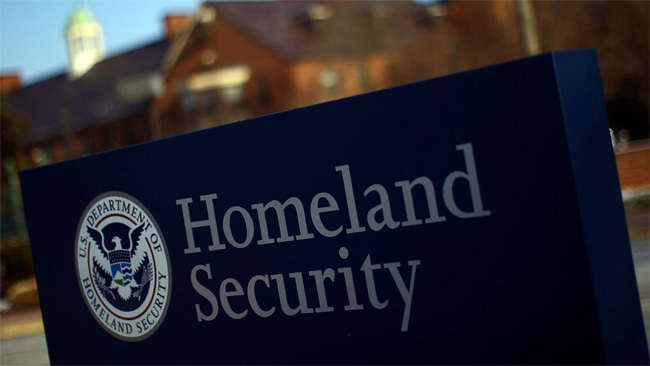 American citizens were forced at gunpoint out of their homes while Homeland Security, a Nazi reminiscent name from the Hitler era, disrupted the life of an entire city and its airport service in behalf of this orchestrated event that murdered American civil liberty. I recommend to you Mary Maxwell’s account. However, I will say that I believe that she uses irony excessively and that on occasions her irony gets in the way of the factual message. Knowing this, stick with it, and read her account. Irony is the style that she has chosen, and we must respect a person prepared to stand up to the murderous American establishment and to challenge one of the founding myths of the American Police State and Washington’s wars against the world. Read her book Marathon Bombing – Indicting the Players here. If Americans do not wake up to the orchesrations to which they are subjected, they will forfeit their freedom. The Russians and the Chinese are individually and together more powerful than Washington, and they are not going to put up with the lies with which insouciant Americans are content. A false flag formula is becoming readily apparent in the face of so many mass shootings and bombings in the US. The phenomenon has become so commonplace in the last 3 years that it’s becoming more American than apple pie. According to ShootingTracker.com, there have been 353 mass shootings in the USA for 2015 so far. However, as scary as that number is, the good news is that you don’t have to be afraid of them like you may think. A very large number of them – and all of them with any mass media significance and attention – are false flag staged terror events. Some have real victims, some do not, but either way, the most criminal of all institutions – the Government – is the orchestrating force behind them. They are scripted, pre-planned operations which are definitely not the result of random gun violence. Just as Obama stated (by hiding the truth in plain sight), there is a pattern behind these mass shootings. The Controllers are following a definite false flag formula. 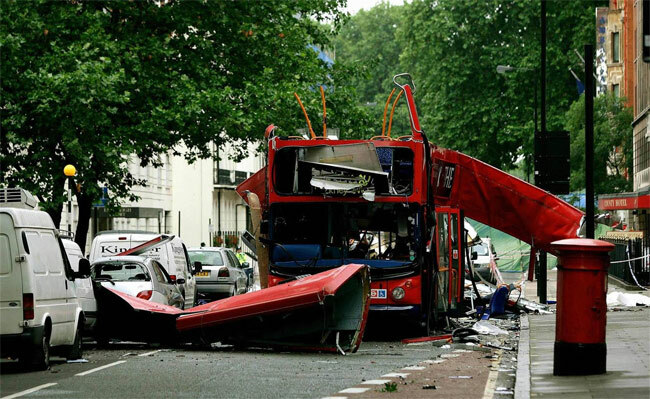 In the case of the London 7/7 bombings, Peter Power admitted on radio that he was leading a team who were training for that exact scenario when it unfolded! 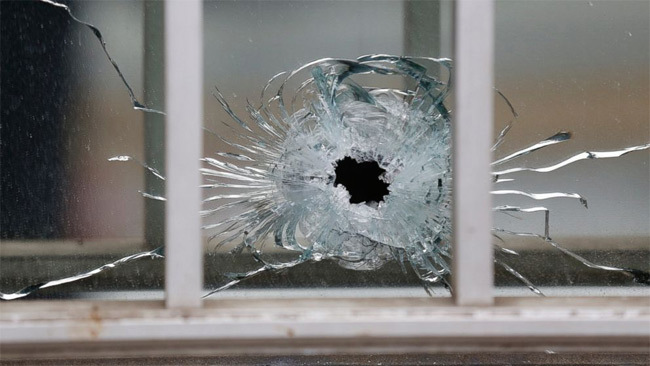 There were active shooter drills in all of the false flag attacks of Sandy Hook, Boston Marathon, Charleston, San Bernardino, the Norway attack, the 2nd Paris attack of 2015 and many many more. 5. Provide a great cover and period of lower defenses and security to carry out an attack, which would otherwise be difficult or impossible if defenses were at their usual or optimal operating level. Another way you can tell that a mass shooting is a false flag op is if you find proof of foreknowledge of the event. As it so happens, all of the notorious and publicized mass attacks of late have had evidence of foreknowledge. 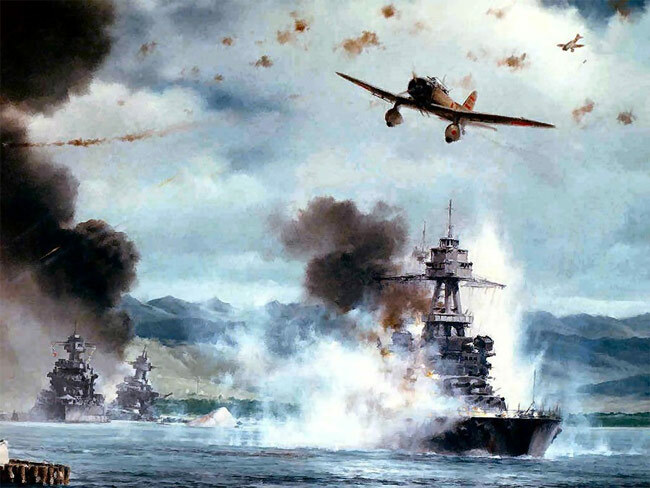 Going way back in time, there was foreknowledge of the Pearl Harbor attack of 1941 that got the US into World War 2. There were many aspects of foreknowledge on 9/11, including the BBC reporting WTC7 falling before it actually did, and mysterious calls to people like author Salman Rushdie and San Francisco Mayor Willie Brown advising them not to fly to NYC on Sept. 11th. Sandy Hook had blatant foreknowledge (with various webpages put up days before the event), as did the Boston Marathon. 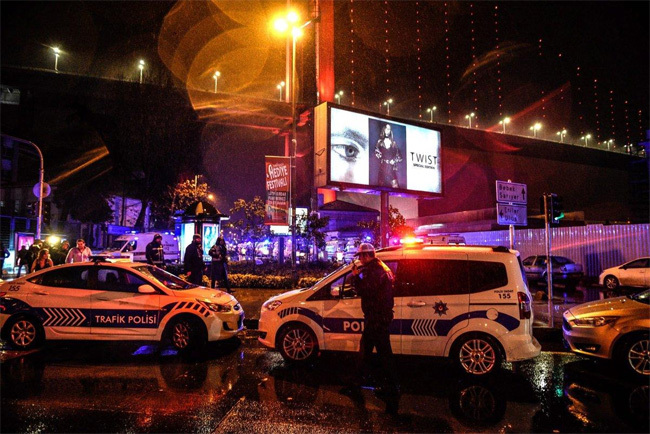 Have you ever wondered why the Government is so good at telling us who supposedly executed these attacks right after they happen, with almost no time to investigate, yet can’t seem to manage to actually stop these alleged terror attacks? 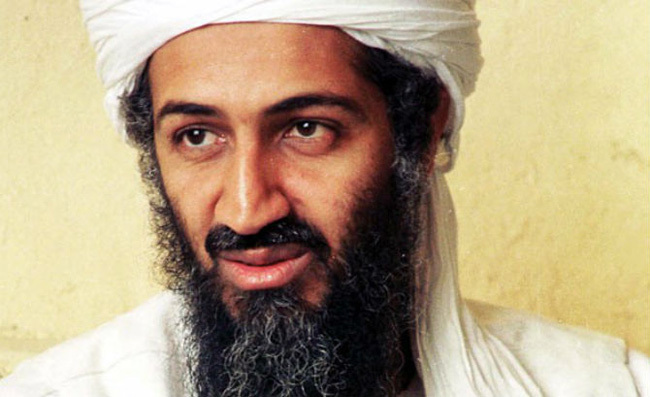 Without any evidence, the MSM endlessly repeated “bin Laden” like a crazy mantra after 9/11, despite the fact bin Laden himself denied involvement in the attacks and that in the end he was never formally charged by the FBI. Another element of the false flag formula is the skilled and lethal patsy. According to the official narrative of false flag ops like Sandy Hook and Aurora, we are supposed to believe that skinny and non-muscular youths, without any discernible military training, were able to acquire expensive military gear (including armor, guns, ammunition and more), wear that gear without getting bogged down in speed, and shoot incredibly fast and accurately. 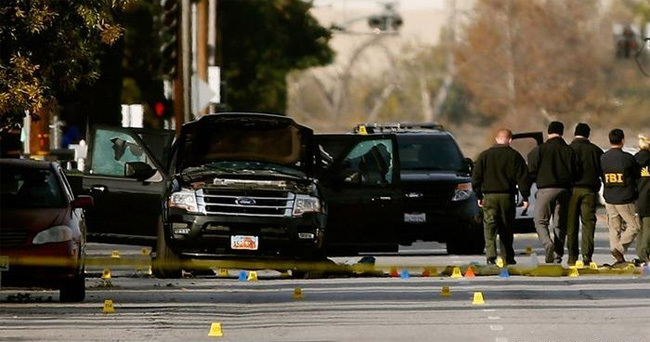 In San Bernardino, we are supposed to believe that a young mother was strong and skilled enough to participate in killing 14 and injuring 17 people while she was strapped up with body armor and holding heavy weaponry! In these cases and more, the official story would have you believe that it’s no big deal or just a coincidence that the patsy can acquire all this high-end gear and use it so well. It is also part of the false flag formula to ensure that the patsy, who is earmarked before the event to take the fall, cannot speak out to rationally defend themselves. This is achieved in a number of ways. The simplest is to have the patsy kill himself or herself by committing “suicide”. Another favorite way is to take the patsy out in a thrilling high speed chase, which has the added benefit of drawing clueless people in through the MSM and gushingly promoting the police state. 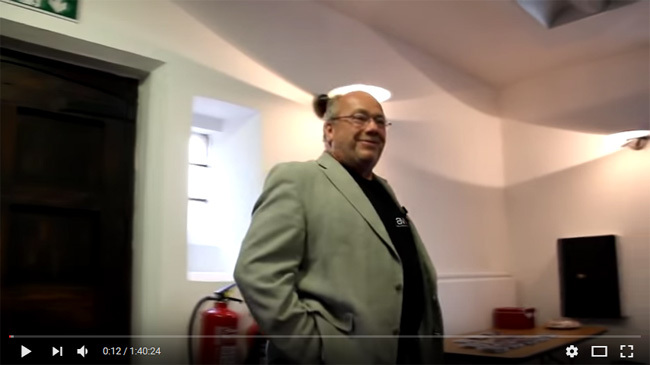 Sometimes a patsy is killed in plain sight, just because it’s so important to suppress his testimony (e.g. 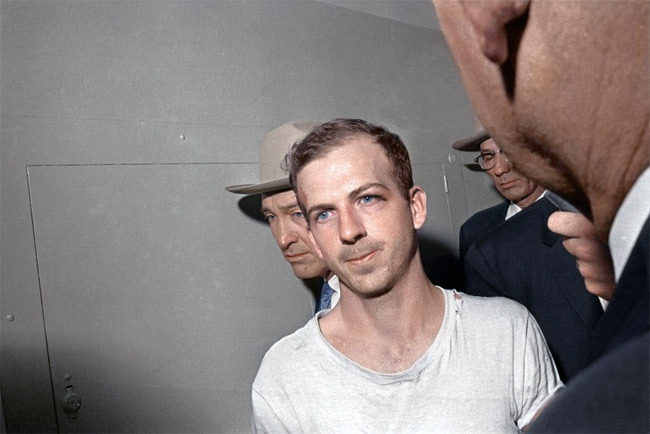 Lee Harvey Oswald in the JFK assassination). A third way is to mind control and drug the patsy to such an extent that they become a zombie vegetable unable to articulate anything, as was the case with James Holmes. Conveniently for the Controllers, these manifestos provide a perfect explanation for the official narrative, and help fill in the missing (non-existent) motive for the attack – which probably pushes those on the fence over into believing the Government’s version of the event. 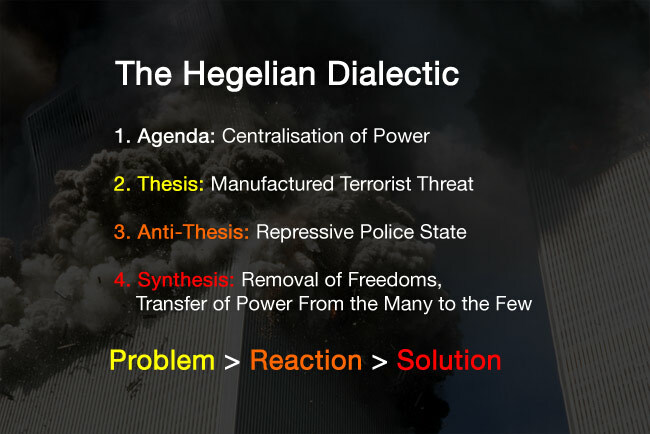 While the manifesto is not an element in every false flag operation, it is present in enough of them to be regarded as part of the false flag formula. 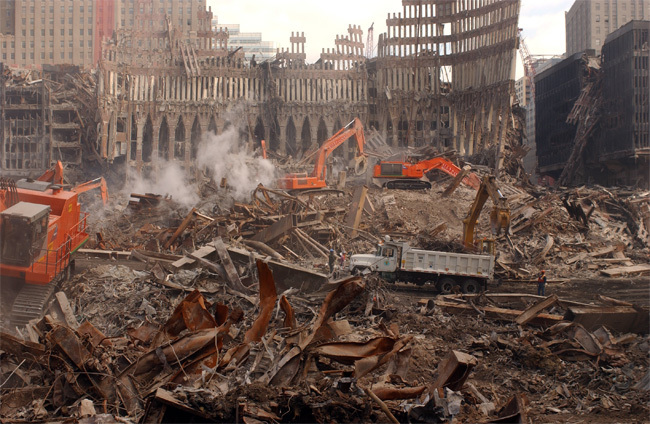 In 9/11, the scrap metal (in the smoldering ruins of the WTC towers) was immediately shipped off to China right from the start; with Sandy Hook, the entire school was demolished; in San Bernardino, the supposed landlord of the supposed shooters actually allowed MSM reporters into the suspects’ house to poke around and touch all their stuff, in complete disregard for what could be a possible crime scene! Could it get any more blatant? Other times we are offered the flimsiest of motives, such as people going on an all-out rampage because they had a grievance with a co-worker. In San Bernardino, we were told the young mother, with a 1-year-old child, was aggressive and psychotic enough to help kill 14 and injure 17 people – at the risk of never seeing her child again! Take a look at the behavior of Andy Parker, who we were told was the father of a victim killed in the Virginia mass shooting of 2015. Within hours of hearing the news of the death of his child, Parker had already contacted and talked with the Governor of Virginia, and then appeared on TV saying he would be devoting his entire life to gun control. 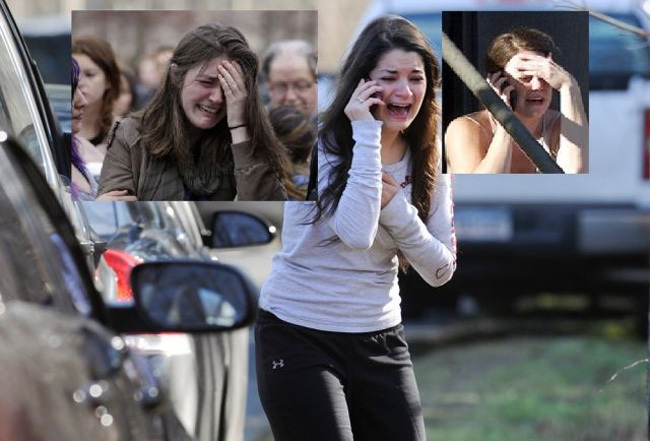 Is this the same girl crying at all three massacres – Aurora, Sandy Hook and Boston? 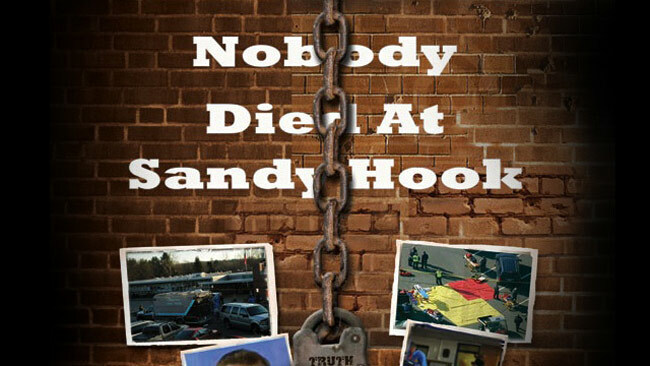 There are organizations of crisis actors in the US (such as the IIF), and there is clear evidence crisis actors were used at Sandy Hook, Boston Marathon and many others. Government officials have been caught using the word “actor” to describe various players in these dramas; the MSM has even resorted to calling them actors too (it was one of the buzzwords of the recent San Bernardino mass shooting). The surreal quality of the false flag hoax reached point of absurdity when it was discovered that one of the “victims” was reportedly killed twice! We were told that Noah Pozner was one of the victims of the Sandy Hook shooting, yet his picture was also among those killed in a Pakistan Taliban attack. 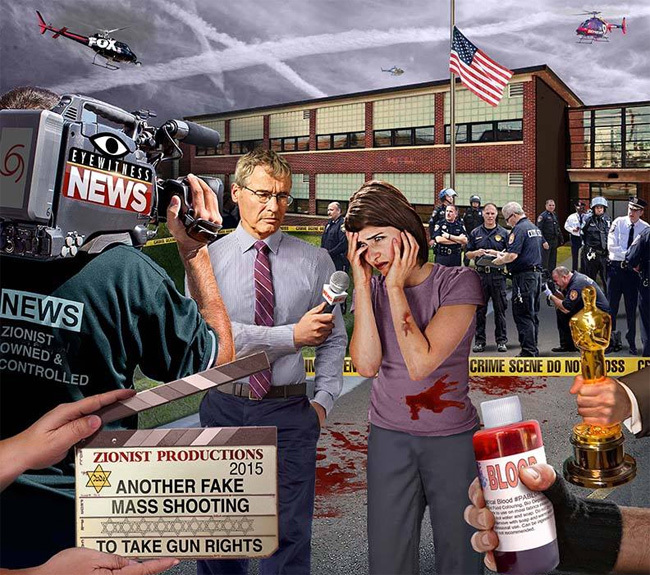 Luckily for truth seekers, the majority of crisis actors used in these false flag events are poor actors who are utterly unconvincing in the roles they play. The majority display little or no emotion after an alleged tragedy like losing a family member child to a random and violent mass shooting. 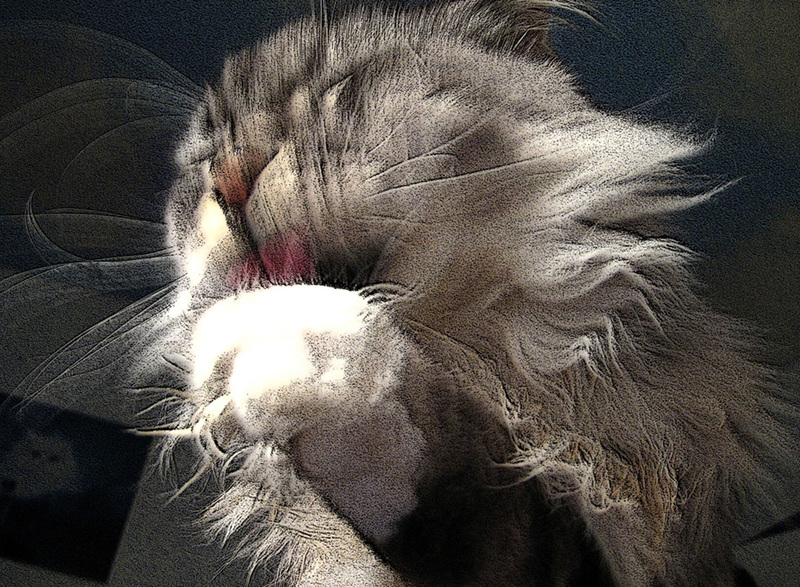 It is true that humans do vary widely with emotional response and expression. 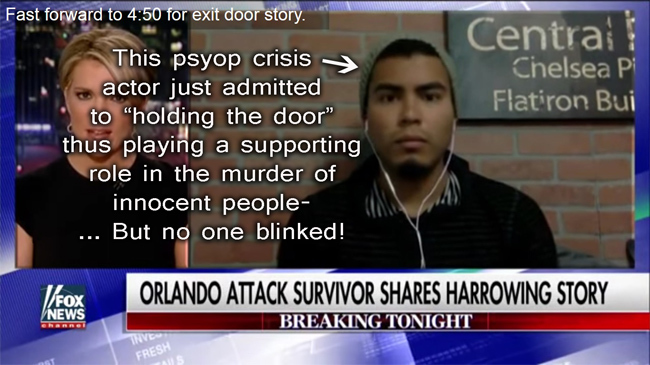 However, with many of the crisis actors, judging by their reactions, it simply strains credibility too much to believe that they have just have been through a harrowing and traumatic ordeal. Given the range of possible reactions to a tragedy like losing a loved one in a mass shooting, what are the chances that many of the “victims’” family members are so non-emotional, or so understanding, or so quick to forgive? It’s shameful enough that the crisis actors playing these roles are perpetrating a monumental deception on the public, tugging at the average person’s heartstrings solely to trick them. In the US, the land of the lawsuit, people are generally pretty fast to initiate a lawsuit if they feel they have been wronged. It is highly strange, therefore, that none of the alleged parents of the Sandy Hook event decided to sue the Government for negligence or to demand redress for any other grievance. Additionally, many of the alleged parents received a total of millions in unsolicited federal payouts (check out the free houses they magically got on Christmas day 2009) – that’s right, unsolicited. The Federal Government just gave it over to them without asking! Ask yourself: is is more likely the Government would just do this out of the goodness of its heart, or that the money was more like a bribe/blackmail/payout all rolled into one, awarded to actors playing a part in a role and being sworn to silence? These are 15 elements I noticed forming the false flag formula. There may well be more. Meanwhile, use the knowledge you have of the false flag formula to become more aware, wise and hip to the deception, so that the next time it unfolds (as it surely will), you will be among those that spot the fakery, rather than among those who are too scared, shell-shocked and gullible to do anything other than buy the official narrative.